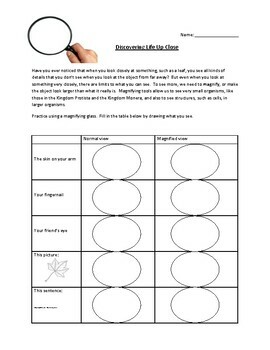 This activity is an exercise for students using magnifying glasses. It takes them through a basic science lab, where they need to use the magnifiers to look at their skin, their fingernail, and more. This is a great introduction to a fun science unit!